More on using them alone. Even if you have only one set of cards, you can use them in several ways. The most obvious way for using the cards is just to read them. Essentially they are concentrated knowledge, something like little cheat sheets. So Instead of having to read dozens books with hundreds of pages, you can start by reading the cards. There is more content online, so you can dig deeper, if you like. Using the cards in this way is especially helpful for junior developers. But it's also helpful for more experienced ones, who like to improve on how to communicate the reasons for their decisions. Sometimes you have to make an important design decision and it's not clear which solution is best. So you have to collect advantages and disadvantages to make up your mind or to prepare for a discussion with your colleagues or your architect. You can do that by using the cards. Each card has references to related cards which might be helpful in the same situations. There are contrary and complementary cards. So if there are two possible solutions, A and B, and one card favors solution A, a contrary card would likely support solution B while a complementary card points to further aspects which might support solution A. 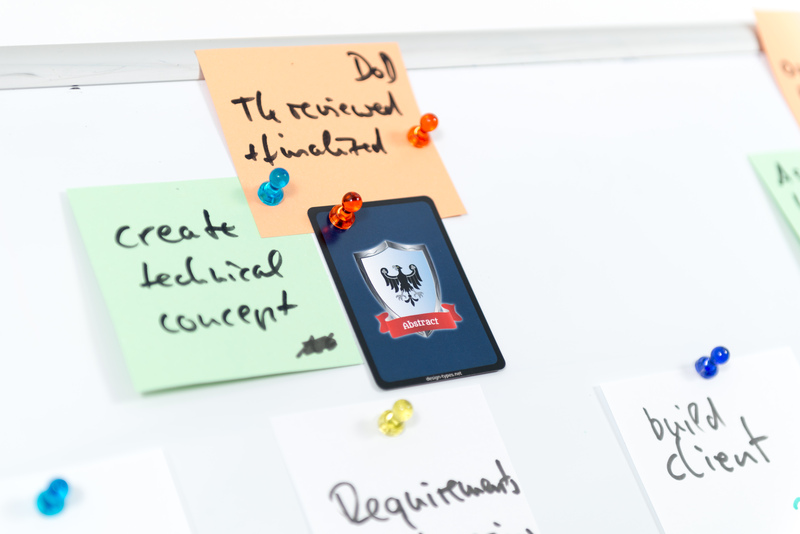 If some aspect is very important in your project or if you keep forgetting a certain thing, tape the corresponding card to your screen or attach it to a user story. You will see it often so it will constantly remind you of that aspect.